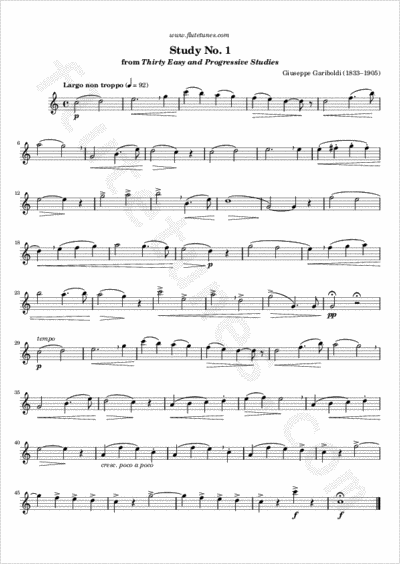 This is the very first étude from Giuseppe Gariboldi's collection of 30 Etudes faciles et progressives. It is extremely simple and offers no technical difficulty whatsoever; for this reason, you should strive to play it perfectly, respecting all of the provided indications. Remember to play it at a slow but steady tempo.